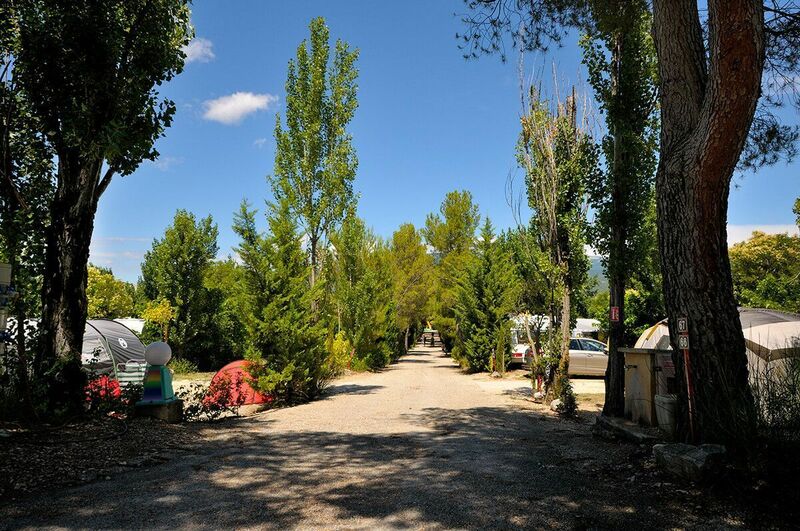 As campers you are welcome to place your tent, caravan or motorhome on the site Camping Les Verguettes and enjoy your holidays in the Provence. There are 77 places including 62 places for campers on the campsite. It is a small and family-owned camping, perfect for enjoying your visits all around the Provence. Our pitches are spread over 1.5 acres of shaded or sunny places. In the countryside you will enjoy the scent of pine trees, the summer sound of the cicadas and relaxing in the shade of olive trees. Equipped with several playgrounds and a heated pool, entertainment in summer, kids, adults and seniors will find a quiet place to have fun. All pitches are equipped with the standard French electrical connection of 10 amps. On some sites you can to connect to a water supply and waste water evacuation. For electricity, you may need a 25 meter cable for some places. But don’t worry, we can lend you a cable if you need. The campsite is located at the entrance of Villes sur Auzon, a typically charming village of the Provence. The center of the village, with all the grocery stores, restaurants and typical Provence wares you need to facilitate your holidays -all 5 minutes on foot from the campsite. For motorhome campers, don’t worry: you will be able to discover the area without using your camper. At the campsite, you can rent an electric car and two electric bikes. So easy and so much fun! The places are available from 2:00 pm and must be free at 12:00 pm on the day of your departure. You will be given all information at the reception when you arrive. At the reception, we also give you advice on visits in the region, by car, bus, bike or walking. The campsite is ideally situated because it is in the center of the Vaucluse, and just 9 kms to the bottom of the Mont Ventoux – with quite a level road for cyclists to enjoy without becoming exhausted! The campsite is equipped with two sanitary facilities, one at the bottom and another at the top of the camping pitches. The sanitary facilities at the bottom offer separate showers and toilets for men and women. Each shower is equipped with a personal washbasin and free hot water. A baby area with a sink and a changing area is available to parents. To make your life easier, toilet paper is available in each toilet. Our bathrooms are cleaned twice a day and are checked regularly during the day. For our guests with a handicap, a sanitary space has been specially adapted. We also offer sinks to wash your dishes and special sinks to wash your clothes, as well as a washing machine and a space for hanging up your washing. In Les Verguettes, the ACSI, ADAC and ANWB cardholders have a reduction in very low and low season (see price list here). This preferential rate is €20 for a pitch and two people, one animal and electricity 10 A. Offers exclusive to cardholders ACSI, ADAC, ANWB : you have to present your membership card on arrival. 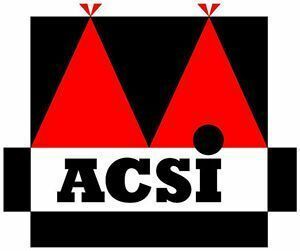 The campsite is inspected annually by ACSI. Welcome to the Provence, between Luberon and Mont Ventoux in the south of France!